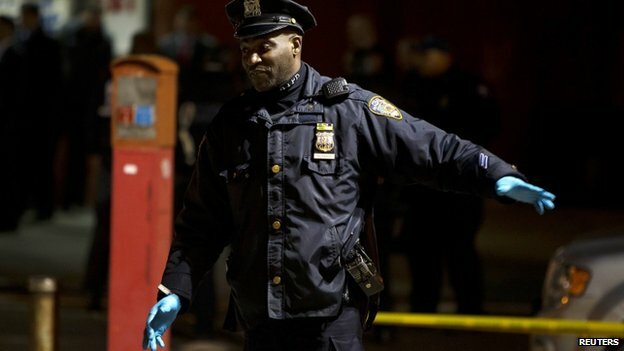 The gunman ran into a nearby subway station where he then shot himself, officials say. Earlier, the attacker shot and injured his ex-girlfriend and had posted anti-police messages on social media. 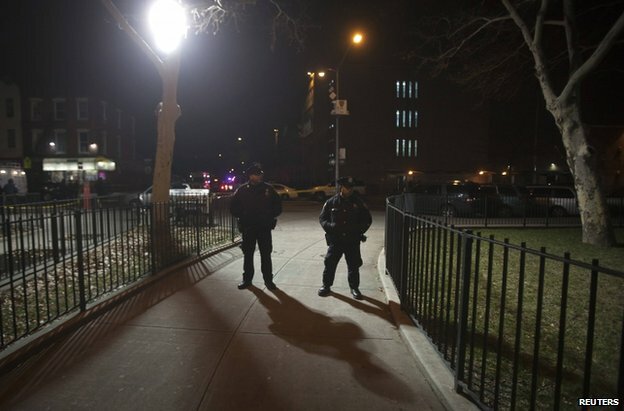 The mayor of New York, Bill de Blasio, said anyone who saw postings indicating a threat to the police should report them to the authorities. 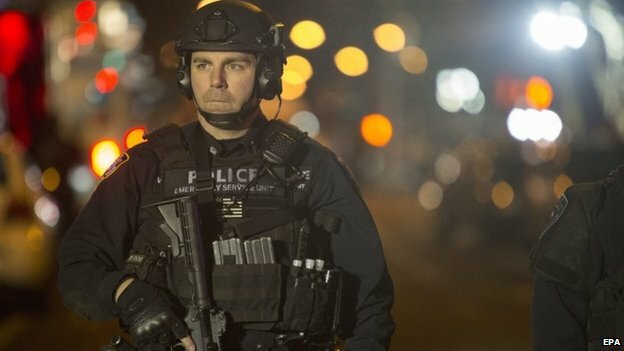 The “whole city was in mourning” after the shootings, he said. 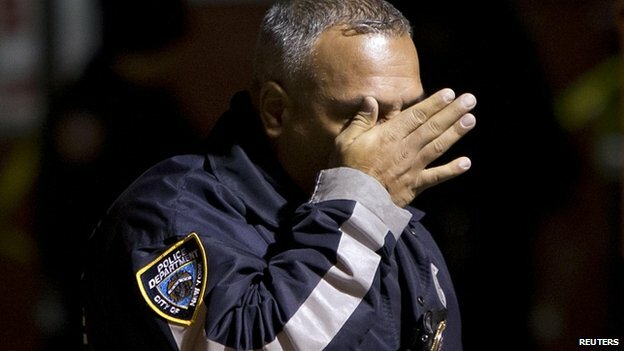 The shootings come at a time when New York city police are facing intense scrutiny for their tactics, the BBC’s Samira Hussein reports from New York. Earlier this month, a grand jury did not indict any New York police department officer in the chokehold death of Eric Garner, a black man who died when white police officers tried to arrest him for selling cigarettes.